Mayweather and Pacquiao fight was one of the most watched boxing fight ever, with millions around the world glued to their TVs to watch a match which was expected to be the 'match of the centur'. But as it turns out, the match wasn't that entertaining as many has anticipated. Many fans accused Mayweather of 'running' and avoiding blows rather than fighting. 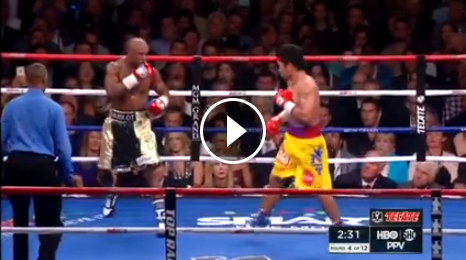 Incase you missed, here is the full video of the fight.